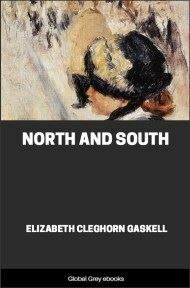 North and South is set in the fictional town of Milton in the North of England when industrialisation was changing the city. 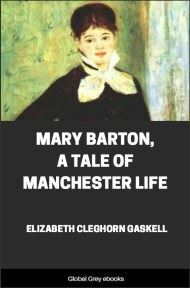 Forced to leave her home in the tranquil rural south, Margaret Hale settles with her parents in the industrial town of Milton where she witnesses the harsh brutal world wrought by the industrial revolution and where employers and workers clash in the first organised strikes. Sympathetic to the poor whose courage and tenacity she admires and among whom she makes friends, she clashes with John Thornton, a cotton mill manufacturer who belongs to the nouveaux riches and whose contemptuous attitude to workers Margaret despises. But, as Margaret half suspected, Edith had fallen asleep. She lay curled up on the sofa in the back drawing-room in Harley Street, looking very lovely in her white muslin and blue ribbons. If Titania had ever been dressed in white muslin and blue ribbons, and had fallen asleep on a crimson damask sofa in a back drawing-room, Edith might have been taken for her. Margaret was struck afresh by her cousin's beauty. 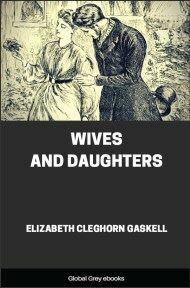 They had grown up together from childhood, and all along Edith had been remarked upon by every one, except Margaret, for her prettiness; but Margaret had never thought about it until the last few days, when the prospect of soon losing her companion seemed to give force to every sweet quality and charm which Edith possessed. 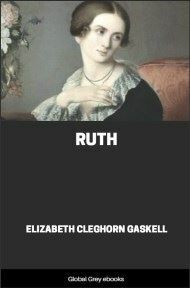 They had been talking about wedding dresses, and wedding ceremonies; and Captain Lennox, and what he had told Edith about her future life at Corfu, where his regiment was stationed; and the difficulty of keeping a piano in good tune (a difficulty which Edith seemed to consider as one of the most formidable that could befall her in her married life), and what gowns she should want in the visits to Scotland, which would immediately succeed her marriage; but the whispered tone had latterly become more drowsy; and Margaret, after a pause of a few minutes, found, as she fancied, that in spite of the buzz in the next room, Edith had rolled herself up into a soft ball of muslin and ribbon, and silken curls, and gone off into a peaceful little after-dinner nap. 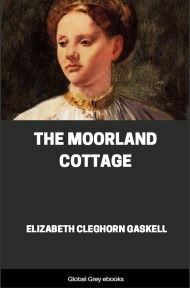 Margaret had been on the point of telling her cousin of some of the plans and visions which she entertained as to her future life in the country parsonage, where her father and mother lived; and where her bright holidays had always been passed, though for the last ten years her aunt Shaw's house had been considered as her home. But in default of a listener, she had to brood over the change in her life silently as heretofore. It was a happy brooding, although tinged with regret at being separated for an indefinite time from her gentle aunt and dear cousin. As she thought of the delight of filling the important post of only daughter in Helstone parsonage, pieces of the conversation out of the next room came upon her ears. Her aunt Shaw was talking to the five or six ladies who had been dining there, and whose husbands were still in the dining-room. They were the familiar acquaintances of the house; neighbours whom Mrs. Shaw called friends, because she happened to dine with them more frequently than with any other people, and because if she or Edith wanted anything from them, or they from her, they did not scruple to make a call at each other's houses before luncheon. These ladies and their husbands were invited, in their capacity of friends, to eat a farewell dinner in honour of Edith's approaching marriage. Edith had rather objected to this arrangement, for Captain Lennox was expected to arrive by a late train this very evening; but, although she was a spoiled child, she was too careless and idle to have a very strong will of her own, and gave way when she found that her mother had absolutely ordered those extra delicacies of the season which are always supposed to be efficacious against immoderate grief at farewell dinners. She contented herself by leaning back in her chair, merely playing with the food on her plate, and looking grave and absent; while all around her were enjoying the mots of Mr. Grey, the gentleman who always took the bottom of the table at Mrs. Shaw's dinner parties, and asked Edith to give them some music in the drawing-room. Mr. Grey was particularly agreeable over this farewell dinner, and the gentlemen staid down stairs longer than usual. It was very well they did—to judge from the fragments of conversation which Margaret overheard. 'I suffered too much myself; not that I was not extremely happy with the poor dear General, but still disparity of age is a drawback; one that I was resolved Edith should not have to encounter. Of course, without any maternal partiality, I foresaw that the dear child was likely to marry early; indeed, I had often said that I was sure she would be married before she was nineteen. I had quite a prophetic feeling when Captain Lennox'—and here the voice dropped into a whisper, but Margaret could easily supply the blank. The course of true love in Edith's case had run remarkably smooth. Mrs. Shaw had given way to the presentiment, as she expressed it; and had rather urged on the marriage, although it was below the expectations which many of Edith's acquaintances had formed for her, a young and pretty heiress. But Mrs. Shaw said that her only child should marry for love,—and sighed emphatically, as if love had not been her motive for marrying the General. Mrs. Shaw enjoyed the romance of the present engagement rather more than her daughter. 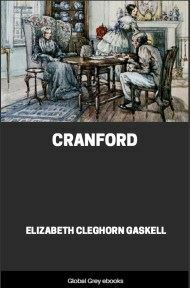 Not but that Edith was very thoroughly and properly in love; still she would certainly have preferred a good house in Belgravia, to all the picturesqueness of the life which Captain Lennox described at Corfu. 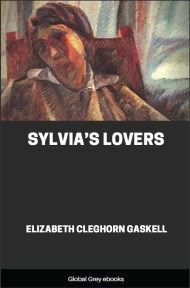 The very parts which made Margaret glow as she listened, Edith pretended to shiver and shudder at; partly for the pleasure she had in being coaxed out of her dislike by her fond lover, and partly because anything of a gipsy or make-shift life was really distasteful to her.